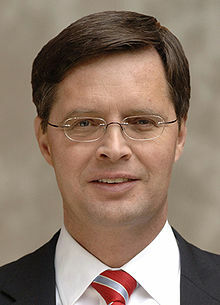 Product launch of Claristar by the Dutch Prime Minister: Jan Peter BALKENENDE on the 26 of October 2009 at about 16:00. DSM asked YR-Design to create banner of Deshima and to create an old style laboratory. The laboratory was symbolizing the old technology and was placed on one side of the stage and on the other side of the stage a vessel of glass and with a pipet the Claristar was added to the waiting wine. Before that the Prime Minister pulled a big handle and the lights, noise and the voltmeters on the noise box were put to sleep. It all took place in the Maple room at the Okura Hotel in Tokyo.